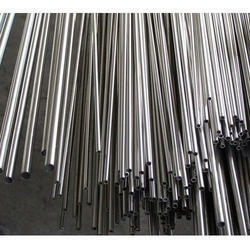 MPJC is a highly acclaimed manufacturer and supplier of Surgical Pipes in materials like Austenitic Steel – SS 304, 304L, 304H, 316, 316L, 316H, 616TI & 310 etc. Our expertise has enabled us to come with an excellent collection of Surgical Pipes . The offered Surgical Pipes are widely used in the Manufacturing of Surgical Equipments Like Trauma Implants, Spinal Implants & Nailing System. Moreover, clients can avail these bends in different sizes and specifications as per their needs. We offer these bends to the customers at market-leading prices to suit their requirements. Range0.70 mm OD upto 40 mm OD in 0.2 to 12 mm thickness. M P Jain & Company, India under the guidance & leadership of Haresh Mehta commenced Production with a view to serve the orthopedic implant sector with the best of products. Meticulous effort & research based development by virtue of consistent market feedback has earned MPJC the reputated as a responsible manufacturer. We have got a sound position in orthopedic field with efforts from distributor network in all over Indian as well as abroad. MPJC India has more extensive product portfolio, service capabilities and remains committed to providing excellent service. SPSI® will remain focused on improving the quality of life for orthopedic patients. Surgeons can feel confident in the quality of our products and services and confident in our ability to provide training opportunities for new surgical techniques. Our commitment is to provide training opportunities for new surgical techniques. Our commitment is to provide effective, creative solutions to the needs of orthopedic surgeons. We are the first to introduce the varieties of MPJC Internal locking Nail System (Interlocking Nails, Interlocking Bolts, Nail Inventory) MPJC Uni Lock Plating System, MPJC Total Hip System (T.H.R), MPJC Bipolar Systems, MPJC Spinal Systems , MPJC Arthroscopy Systems , MPJC Pins & Wires Systems, MPJC External Fixator Systems , MPJC Trauma Implants, Bone Plates, Instrumentation Inventory, MPJC Instrumentation in SS 304, SS 304L,SS 316L, 316L and Titanium. Meticulous effort & research based development by virtue of consistent market feedback has earned MPJC the reputed as a responsible manufacturer. We have got a sound position in orthopedic field with efforts from distributor network in all over Indian as well as abroad. MPJC India has more extensive product portfolio, service capabilities and remains committed to providing excellent service. SPSI will remain focused on improving the quality of life for orthopedic patients. Surgeons can feel confident in the quality of our products and services and confident in our ability to provide training opportunities for new surgical techniques. Our commitment is to provide training opportunities for new surgical techniques. Our commitment is to provide effective, creative solutions to the needs of orthopedic surgeons. We are the first to introduce the varieties of MPJC Internal locking Nail System (Interlocking Nails, Interlocking Bolts, Nail Inventory) MPJC Uni Lock Plating System, MPJC Total Hip System (T.H.R), MPJC Bipolar Systems, MPJC Spinal Systems , MPJC Arthroscopic Systems , MPJC Pins & Wires Systems, MPJC External Fixation Systems , MPJC Trauma Implants, Bone Plates, Instrumentation Inventory, MPJC Instrumentation in SS 304, SS 304L,SS 316L, 316L and Titanium. 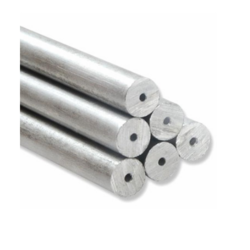 MPJC is a highly acclaimed manufacturer and supplier of Surgical Pipes in materials like Austenitic Steel - SS 304,304L,304H,316,316L,316H,616TI & 310 etc. Our expertise has enabled us to come with an excellent collection of Surgical Pipes . The offered Surgical Pipes are widely used in the Manufacturing of Surgical Equipments Like Trauma Implants, Spinal Implants & Nailing System. Moreover, clients can avail these bends in different sizes and specifications as per their needs. We offer these bends to the customers at market-leading prices to suit their requirements. RANGE- 4.00 mm OD up-to 40 mm OD in 0.4 TO 20 mm thickness. For the diverse requirements of our valued clients, we are engaged in manufacturing and supplying Surgical Pipes. These surgical pipes are acknowledged in the market for its sturdiness. 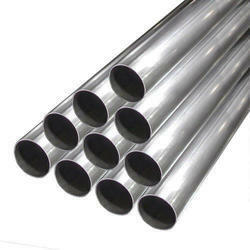 Our given surgical pipes are manufactured utilizing high quality material and modern techniques in compliance with the set norms of industry. The offered surgical pipes are accessible in several specifications at affordable rates to the customers. 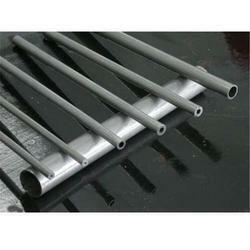 Section Tubes for furnaces, Structural Industry etc. Random in Coil form all sizes from 0. 30 mm to 31. 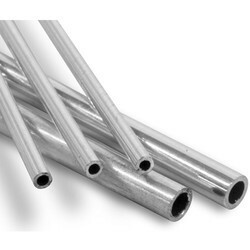 75 mm o. D.
Stainless Steel Surgical Tubes. These surgical tubes are manufactured with the help of latest techniques using best quality material. Offered surgical tubes are thoroughly examined on appropriate quality parameters for make certain its superiority at our end. The provided surgical tubes are obtainable at competitive price from us in a stipulated time frame. We have ready stock in surgical tubes. If you have any other size requirement, please let us know we can manufacture it.